Getting driving license is many people’s goal in 2017. Good driving school is a very important part to achieve this goal. Finding a right driving school or instructor is not an easy task. The easier way to find a trusted instructor is by worth of mouth. Even so it is quite subjective because everyone’s circumstance is different and everyone’s opinion is different. It is very time consuming to ask people around. 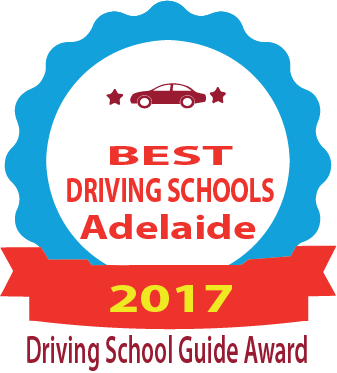 To save your time, we compile a list of best driving schools in Adelaide for 2017 for you. The approach we take is spending hours to compile the reviews and ratings from internet including our website. We believe one review and rating doesn’t count, reviews and ratings from just one website doesn’t. Only the ones from multiple platforms will count. From learner prospective, if you have any experience with these driving schools, please leave your comments below. For any driving schools with three or above genuine negative comments, we will remove it from our list immediately. Note: this list is not in particular order, the one on the top doesn’t mean it better than the one on the button. So far, Prepare to Drive Driving School is getting very positive reviews from the social medias. Customers are happy with their service. Their website is clean and clear and mobile friendly. It provides some basic learning tips for learners. Hourly price is a bit above the average but they do offer discount for package. They do have female instructors, which is good news for someone prefers female instructors. New Hyundi i30 is the vehicle they use for teaching. Plympton, Mitcham, Mitchell park, Bedford park, Marion, Unley, Underdale, fulham ,woodville, Prospect, Ferryden park, Kilburn, Wingfield, Croydon, Sea cliff, Marino, Warradale, Glenelg, Belair, city, burnside, walkerville, northgate, Parafield, payneham, Kensington, firle, Felixtow, Glen osmond, campbelltown, gepps cross and all their surrounding suburbs (or) 20 km from the Adelaide city. So far, Adelaide West Driver Training is getting very positive reviews from the social medias. Customers are happy with their service. Their website is clean and clear and mobile friendly. They participate government’s key2drive program, which means you can get a free lesson from them. They have female instructors, which maybe attract to people prefer female instructors. Price is not listed on their website, so cannot compare it with other driving schools. So far, Adelaide Driving Academy is getting very positive reviews from Google. Customers are happy with their service. Their website is clean and clear and mobile friendly. They only offer Auto lessons which suits most people’s need. The business has been around since 2002. They don’t provide price on their website but they do mention their price is competitive. So far, Adelaide West Driver Training is getting very positive reviews from Facebook and Google. Customers are happy with their service. Their website is clean and clear and but not mobile friendly. $53 an hour for both manual and auto lessons are very reasonable. So far, Adelaide School of Driving is getting very positive reviews from Facebook, Google and TrueLocal. Customers are happy with their service. Their website is clean and clear and but not mobile friendly. $70 an hour is slight above the average but still reasonable. So far, Mitcham Driving School Adelaide is getting very positive reviews from Google and Yellow Pages. Customers are happy with their service. Their website is clean, clear and modern. They provide useful information on their website for learners. $73 an hour is slight above the average but still reasonable. They offer 70 minutes and 90 minutes lessons. The hourly rate is based on our calculation. 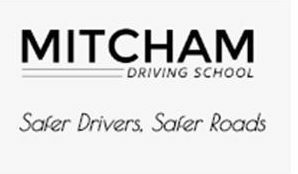 Mitcham Driving School Adelaide offers both auto and manual lessons, which not many driving schools can do. They also have both female and male instructors if you have gender preference when choosing driving instructor. So far, OMNIS School of Driving is getting very positive reviews from Google. Customers are happy with their service. Their website is clean, clear and modern. 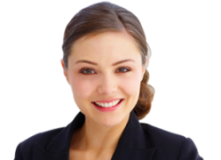 They provide useful information on their website in the blog section for learners. $70 an hour is slight above the average but still reasonable.They also have both female and male instructors if you have gender preference when choosing driving instructor. So far, Head Rite Driving School is getting very positive reviews from Facebook. Customers are happy with their service. Their website is clean, clear and modern. They provide useful information on their website in the blog section for learners. $70 an hour is slight above average but still reasonable.